"The first 2 weeks we opened we were slow and we were expecting to be that way one year, the time it usually takes to receive a highly respected reputation as a new restaurant, yet the 2nd week a big Dublin newspaper gave us great reviews and from that day the phone never stopped ringing and we became booked everyday since the last 10 years. Lucky? I don't know. The food is innovative, yet fun to eat, and prepared with extraordinary cooking methods yet, I make my food that is familiar. You know what you are eating, such as the Feighcullen Farmyard Chicken with chargrilled Hispi Cabbage, and shallot sage puree: chicken, yes, yet fresh from the farm." The Feighcullen Chickens roam freely throughout their lives on the farm and cared for lovingly. "Yes, my name is Johnny, yet my real name is spelled like Donald yet without the D and add e." says the talented bartender that Stephen introduces me too. Um me and Stephen start laughing. How do you spell that? The result is perhaps maybe the reason that Ionut, I think that is the way to spell it!, makes great exotic cocktails that taste lovely, yet we have no idea how to make it! "We received the top 5 bars in Dublin awards for mixologists with our cocktails, which say alot for how good we are, since Dublin has a lot of people drinking a lot of cocktails," he says smiling. Stephen says, "Donald without the D and add e? Okay. I call him Johnny, yet I am going to start calling him Ionut." (I stick to Johnny since I don't even know how to spell Ionut). "What I would love guests to do is come meet my bartenders since they are great fun and to enjoy a drink before dinner. We are known for our food and its reputation, yet, in essence now we are becoming known for great cocktails,too." The lounge bar area is beautiful and you can sit and drink a couple of cocktails before dinner. The restaurant is open all day, yet the kitchen closes after 3:00pm and reopens at 5:00pm." "I wanted real simple food, a good simple piece of meat, not fancy tiny portions. As I said, Pichet is a French Bistro with a Modern Twist essentially. Yet it started out as a French Bistro and now we are international with French, Italian and Irish cooking using mostly Irish products." Stephen says as he describes his sophisticated yet simple bistro. "Stephen is one of the finest chefs in Dublin, a Michelin Star Chef with Michelin Star Experience who opened his own Michelin restaurant about 10 years now, yet doesn't pursue the Michelin star." says Mario who is one of the directors under Brian, at OPIUM, another Mercantile restaurant. Stephen's response? (Check out the lobster burger above)...He just laughs, "Yes I worked in many Michelin star restaurants in Dublin, Paris, London, yet after awhile I thought to open my own restaurant with food that I would eat. Not necessarily fancy food in terms of creative presentation, yet good food that is a little innovative, perhaps, yet people come to eat it, not look at it." He is a very down-to-earth person. Very easy to talk to. His food has hefty portions that taste great on the palette and yet exotic, too. "I try to use Irish products, we have our special butcher, our special fish supplier, our farmed chicken supplier, and we use the seasonal vegetables of Ireland, yet Ireland doesn't have that many vegetables. We do need to import these, yet Ireland does have the best beef and lamb. When I travel around the world, such as I just literally got back from New York 3 days now, I ate at some amazing restaurants and ate as much as I could. I love American food. Love it. I couldn't really say what is American food, yet I love it! I have some great ideas from the trip that I am going to implement here in the coming weeks too." he says. He tells me one recipe and I say O my gosh I must eat that now. Shhh, it's a secret. Of course you are coming for the great Thai and Asian food, right? 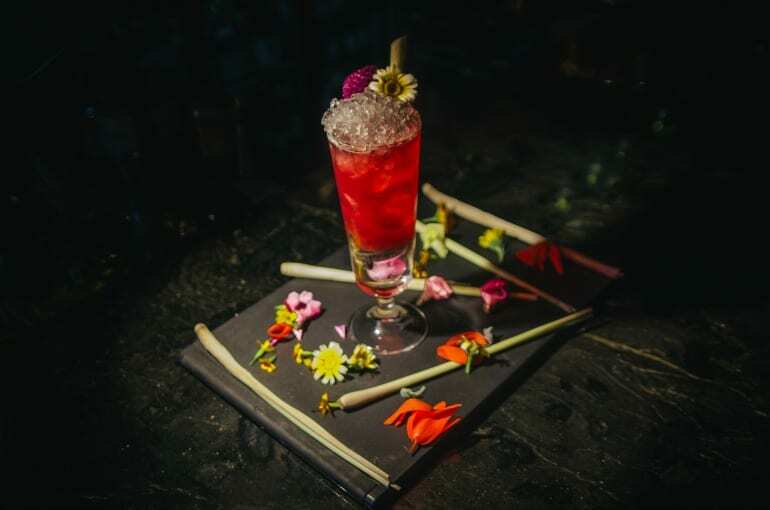 If you thought about OPIUM only for the night life, you should check out their menu, the great photos and ultimately try the food. It is authentic and exquisite and lovely. "The room here is the interum room between the rooftop deck, where you can't hear the music at night since the place is soundproofed, and the nightclub where the people are dancing on 3 levels. You can come in here, have some drinks and watch the dancing and hear the music. Through the door here," he says as he walks to the dancing floor that has huge open window planes that look down on the very big DJ booth and houses a huge dance floor. "The entire OPIUM can house 2,000 people, with the nightclub open every Friday and Saturday and on special party occasians, the dining rooms and the rooftop deck. It has a great vibe. You should come Friday night." he says and I am very in awe at the beauty and elegance of the massive building. There is signs of Asian influence everywhere. "The owner loves the Asian culture and we are all glad since we love the Asian Food!" says Mario. "Alright follow me," is the start of almost every great tour and so I follow Mario through the very elegant multi-level and multi-cultural experience known as OPIUM! "Here is the Botanical Garden section that the guests love at lunch, especially and at night they can hear the music with its very own DJ, yet the nightclub is upstairs." says Mario as I gasp at it's beauty and follow him along the very elegant and totally cool OPIUM. "The Thai food is excellent with chef Phillip, and as a matter of fact, being a member of the Mercantile Group, we have great chefs come to us. We have a great reputation." says Mario. Alright you know that you can find Irish Whiskey and Scottish Whiskey and World Whiskeys and Irish Spirits Other Spirits, and Wine and Champagne can be found and discussed here! Yet do you know you can find rare whiskeys, too, here. 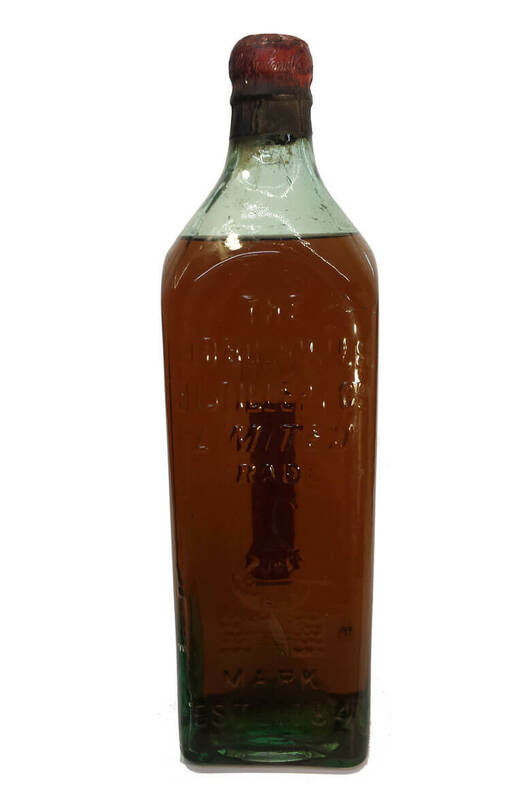 The oldest bottle of Bushmill's 1,250.00euros. 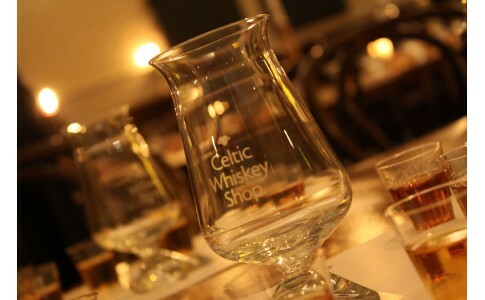 https://celticwhiskeyclub.com/ at 27 to 28 Dawson Street Dublin. 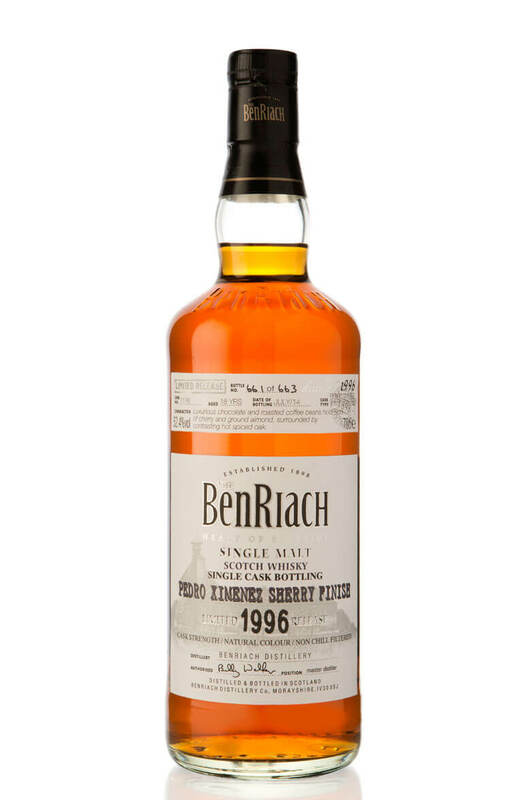 Scotland is world known for its single malt and blended whiskies. The one here is a richly flavoured one that has been finished in a Pedro Ximemex Sherry puncheon, according to the Celtic Whiskey experts, of which I am learning! Bottles 663 have only been produced world wide. The one here is 104.00euros. Thursday 30th August 2018 27 to 28 Dawson Street. Irish Whiskey and Artisan Chocolate, is one cool class that let's you learn how to compliment chocolate to whiskey. Okay, seriously who really needs to learn that...we all love whiskey and of course chocolate goes with everything, doesn't it? 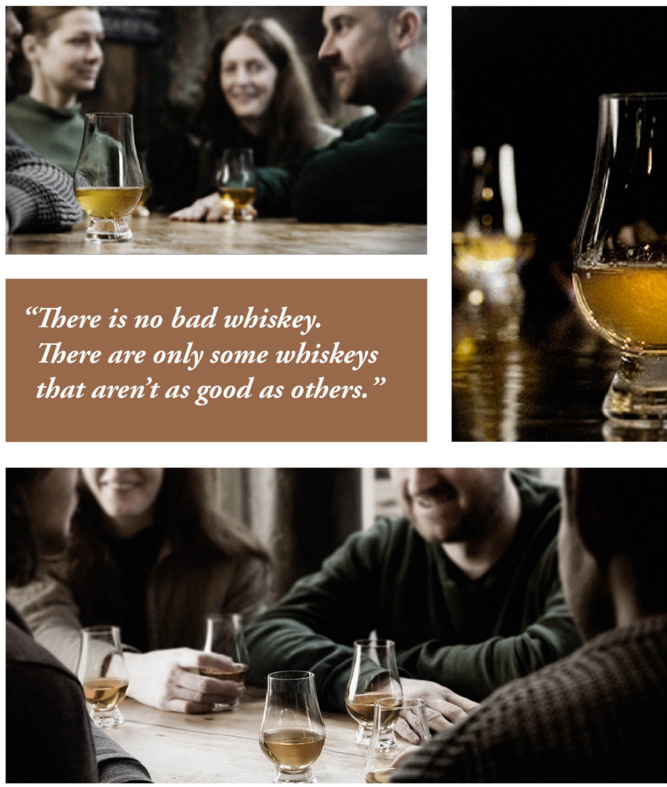 No, I learned through drinking much whiskey in the very fun glass and brass bar and whiskey museum, where the young Killarney professionals love to drink their whiskeys with friends at night, that certain whiskeys compliment certain chocolates! I am very sure that you can find the whiskey that you love here and if you miss it just take the Blender's Class and make your own! The other master classes include The irish whiskey cocktail and how to make it, the irish distiller, and of course everybody around the world's favorite, the Whiskey Apprentice...we must laugh with that! I remember when I first talked to Ally about 3 years now and he was super excited to open the Whiskey Experience in Killarney inviting people from around the world to come and taste the best whiskey in the world, which of course arguably Irish and Scottish whiskey is...what else is there! Including my friend Jackson's favorite Johnny Walker! From Scotland of course. "aaa Ulrich, I knew him well..."
"Yes the people come here for the food, and yes we do take reservations. Use the reservation form," says Ian...Um, the reservation form for food is https://www.badbobs.ie/contact-us.html. "However, if the table is open, Let's say a table of 5 comes at 3:00pm and eats lunch and drinks a couple of pints, yet at 8:00pm we're crowded. People are waiting to eat. We NEVER kick a table away. If that table of people are having fun and listening to the music and drinking and eating and enjoying BadBobs they can stay. If a table is reserved at a certain hour, of course we let the people know that. The live music is everyday and people can stay til 2:30am. The nightclub is open on Fridays and Saturdays and the Rooftop Terrace everyday, if you want to head on up to the top. BadBobs has a reputation of superior friendly service and a great atmosphere, I would love to say that my family is responsible for that since they love to mingle with the guests and try the food and drink a couple of pints. I personally stand outside with my team to greet the people coming in. I want to know my team is professional and kind to everybody. The bouncers, I guess you would call them, are only at the front to guide you and to be honest, if the place is full, it is full. If you're "full" as in you can't stand stumbling down drunk, you won't be let in. Otherwise it is alright. Come have fun. Just no dirty sweatsuits. We have a nice place and we want everybody to have fun." 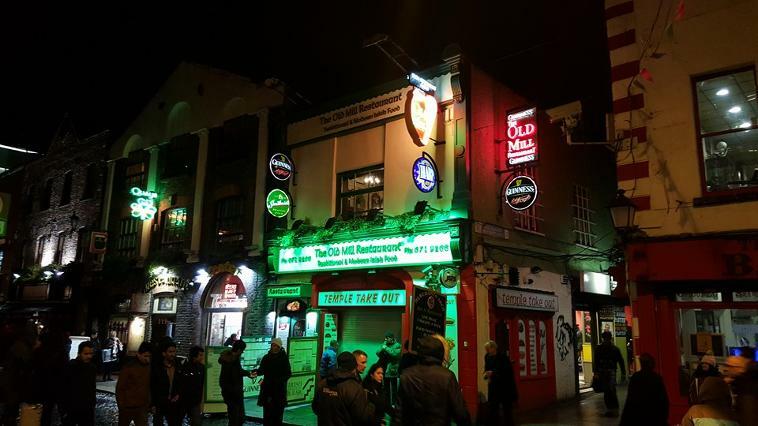 The above picture is why I ABSOLUTELY LOVE BADBOBS Pub, Night club, Restaurant in Temple Bar. It is the most elegant and beautiful of the bars, with full dining, which is why the people come. It has live music starting at around 6:30pm to Midnight everyday, and it has a upstairs night club pictured here that has up to 1,000 people and DJs every night! "I only use local Irish DJs to promote the Irish culture and to give these people a chance, and in addition, the tourists love to meet the real Irish DJs. On the downstairs live music stage every night, we don't have "didlee". That is my word and I don't know how to spell "didlee". It means Irish Traditional Music the other Temple bars play all night. The tourists go have a couple of pints and listen to the traditional Irish Music in those bars, then they come here and eat dinner, which we have great Irish meat burgers and great Fish and Chips, have a couple of pints and listen to the live music. Sometimes they go back and forth. Yet that is the charm of the Temple Bar region. It is experience that the tourists come for." says a very nice person who happens to be one of the family partners of BADBOBS. "The people tend to order the burgers. You know Countries around the world order the great Irish beef and we have it here, that is why the burgers taste great. You should try." he says. Alright I am hungry. "Yes, you mentioned all of the lamps, of which my father says we must have lights and lamps every 4 feet or so, and the decorations are literally a accumulation of 5 years of us buying things that catch our fancy. My father bought a scuba diving gold helmet the other day and brought it to the bar. We add everyday. Most of the plaques I have found. It is fun to show the Irish culture with the decorations and it is funny that you say it looks like the Wild West in here." says Ian. As I see the restaurant I say, "Alright it looks like the Irish Wild West!" 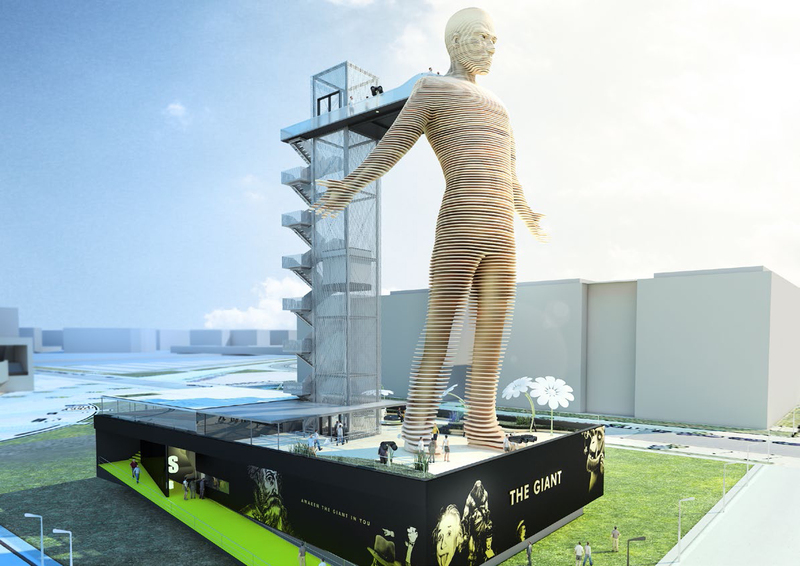 Paddy Dunning has a GIANT DREAM, literally, and with the track record of Mr. Dunning, it is almost a sure thing! "At one time, the city of Dublin wanted to develop the Temple Bar region to be one big Bus Stop, and we as a community formed the three triangles of protesting this idea to make it the Cutural Center of over 23 establishments that it is today. We squatted, we protested and we lobbied to keep the charm of the cobblestoned area of today's Temple Bar and to form a cultural oasis of music, and art, and theater and film and literature: both live readings and written words. The Button Factory is a live music establishment of which Zach is the organizational whiz behind the great bookings that you see. DMA's on tonight, the 21st, if you want to click here for tickets, https://buttonfactory.ie/new-events/ and in addition the entire month of August, September, October, can be found by clicking the link. The Button Factory has a great space for shows...as seen below...https://www.facebook.com/thebuttonfactory and if live musical acts are what you are into you can find the full schedule on the facebook and website. "I started as a musician myself, " says Paddy, "and since I was too loud in my parent's backyard, I had to relocate myself to just opposite where the CrowBar i today as a youth. I love music, and I love the musicians around the world, especially proud of the Irish Musicians. The Rock and Roll Museum is a great interactive 1 hr. tour of legends of Rock and Roll and let's you experience for yourself what it really takes to become a Rock and Roll player. You can role play, wear wigs, play instruments and sign a contract...but beware...contracts need to have the fine print read!" he says laughing when I ask if the Rock and Roll World is uncorrupt and favors the musicians! 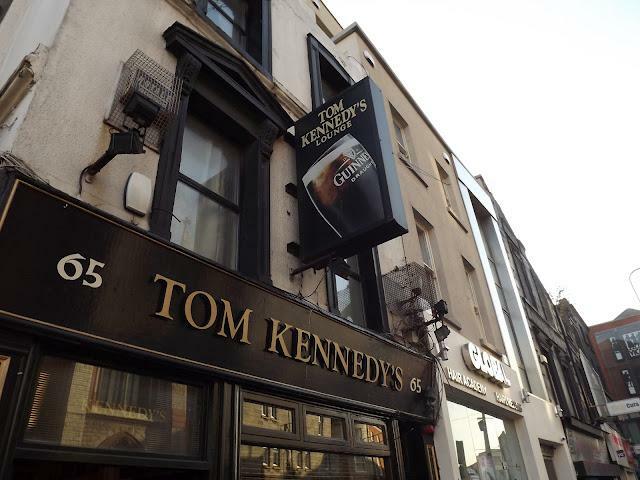 Located at Curved Street Temple Bar. It is great fun to dress up and express yourself, see if you have stage fright, and really experience the role of the Rock and Roller! And while the Button Factory has the live music stage, the Crowbar's bar is a great place to meet friends and it also has a live music stage that has gotten a great reputation in Dublin. Crowbar has become a leading live music location with it's own "Crowbar Presents" series of gigs, it's Sunday night Jazz, and conventional and traditional cover acts that Ireland has to offer! Plus Mark is the best bartender and such lovely fun to chat with. He is a treasure to find. They have craft and international beers, Guinness of course, two great Ciders, and of course the whiskeys and spirits that Ireland is famous for. In addition if you ask Mark a question about the history of beer, I don't think there is a question he can not answer! He is such fun. The Wax Museum is great fun with Irish Legends of Astronomy, Physics, Historians, Mathematicians, you name it, the Irish have been great at it. I learned tons, had way too much fun with the interactive toys and buttons that you push for a fun Irish History lesson! They even have a funny photo booth where you sit in a plane, it takes your photo, then ejects you to space as it tells your story with your photo present as the space astronaut. It is hilarious fun. For the President Donald Trump lovers, you can take your photo with the Wax Museum figure of Mr. Trump and either mimic his thumbs up or thumbs down! Located on 22 to 25 Westmoreland Street Dublin. Great Interactive fun for the family! "Imagine if you will, a Irish couple who is working from 9:00am to 5:00pm everyday and has chores and laundry and children to take care of when they come home at night and on that Saturday night maybe one time or two times per month, they have saved up to enjoy a dinner and a night out. They dress up, they take a taxi, which is maybe 30.00 euros to the Central Porterhouse Bar, and they come for dinner. The entire night takes 6 hours of the couple's day and they have taken that valuable time of the life they have to come here, to my place. I want that couple to have the time of life that they dreamed of. I want my team to be the best and I want my beer to be the best and I want my food to be the best and that is why I do the job I do." Is the words of the owner, Dave, of the Central Porterhouse Bar in Dublin. WOW! "In 1996, I started with the Porterhouse Company and have bought into the company as a owner recently. In addition to being the Operations Manager, I am the responsible person for Central Porterhouse Bar, The Dingle Whiskey Bar and the Lillie's Bordello, which isn't really a bordello, although we do love the Lilly Langtry's of America. 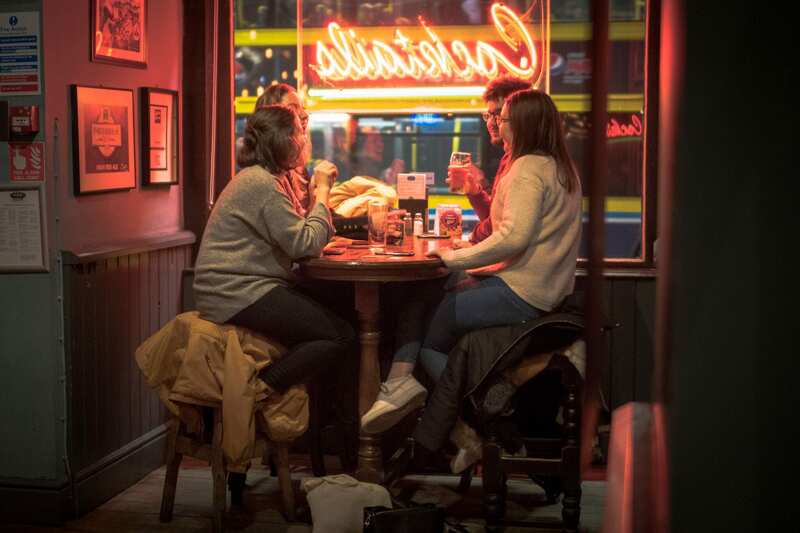 Actually the famous hanging judge, Judge Roy Bean, back in the day as they say, loved Lilly Langtry and always wanted to meet her and that is why he opened the bar here and the Lillie's Bordello upstairs." says Dave who I had the pleasure of chatting with at the famous Central Porterhouse Bar. "We wanted the Craft Beer to be a Brand that people could enjoy and compliment the preference that they had in terms of taste. Yes, most people around the world know Guinness, and it was very difficult at first in Ireland to win against that Big Name; however, we slowly became known in Ireland as a great craft beer company. People didn't even know what Craft beer was and essentially the real meaning is a independent brewing company that makes well, craft beer, they have a craft and that is the beer!" says Dave. "At first I am a beer person, then wine, and finally whiskey, if I must say which I love to drink; however, I do occasionally love to drink a vodka, absolute, and well what else is left? I could drink a liquor, I suppose..." and as he is a rather serious person I don't know he is joking til he continues with the list of all the alcohol he could consume if given the chance. "The way we try new beers is that we make little teams and we say let's do a vanilla ice cream and rasberry, or a pale ale, and we present our ideas to the group with the brewers and we describe why we think that the beer idea is a great one and from all of these great ideas we choose a couple to try. The results are the ones you see in the Central Porterhouse and our bars." "The Hazy Border is one that people seemed to enjoy and one of our seasonal beers. We always have 12 all the time, and we have specialty beers and we have seasonal beers." 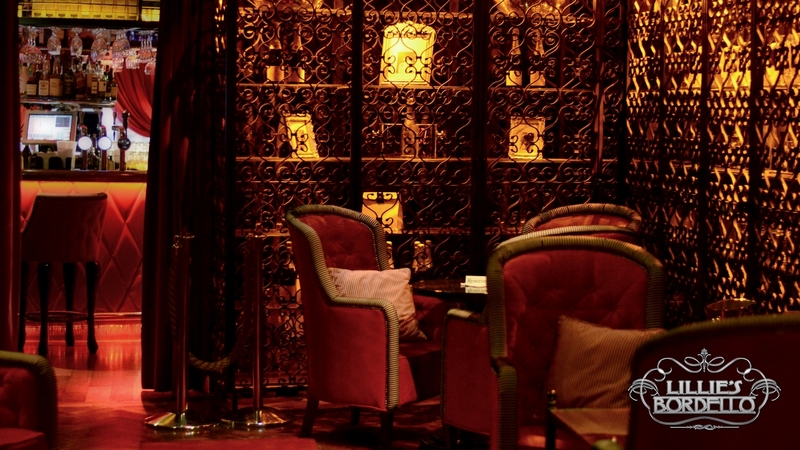 "The Lillie's Bordello is very plush and very beautiful and people really enjoy that atmosphere. It is open on 7 days a week in the sense of if we have many people here and need room for dinner, we open that upstairs and have people eat here. Yet on the weekends, we open entire atmosphere of Lillie's." 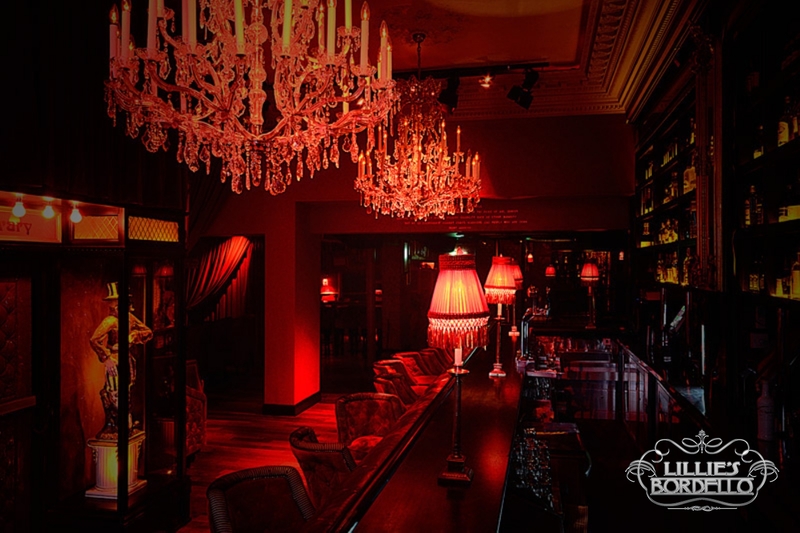 "The Lillie's Bordello is considered the most luxurious indulgent entertainment in the city of Dublin and of course the tourists love it. It is a prestigious cocktail lounge and club and nowadays there is no distinction from nightclub to sophisticated bar, honestly. We sometimes have the burlesque type shows and always the atmosphere, yet it isn't a bordello, of course. If corporate parties want private events, they rent the rooms upstairs at Lillie's for 4 hours or more. For instance if today Jameson Whiskey wants to rent Lillie's for the afternoon, they can. Yet when the Club is open to the public, the public has use of it." Met the lovely Carmel in the boutique Michelin restaurant, BANG, today. She is delightful and warm, funny and charming. "I would say people come to Bang since it is a relaxing feeling here and we don't come out at you..." she says and adds, "I've been here since a couple of months after Joseph opened Bang and I think I am starting to be the "mini me" " she says laughing. I tell her she sounds exactly like Joseph in her expressions. "Yes I guess it is a family here and we all rub off on each other. Joseph's son works here and his daughter is just starting too. The chef, Niles, is amazing, he picks his own herbs every morning and uses these wild herbs in all his dishes. When he comes back from vacation, he bounds in all full of ideas for his new dishes because he has discovered new herbs. The food is amazing. People see his food and they love the presentations and then they eat the food and they are like, "WOW", the exotic taste is amazing." says Carmel. avocado mousse, sesame fruikake, elderflower, remember the head Michelin Chef goes every morning to pick his own herbs from the mountains wild, which is why the taste is so incredibly delicious. 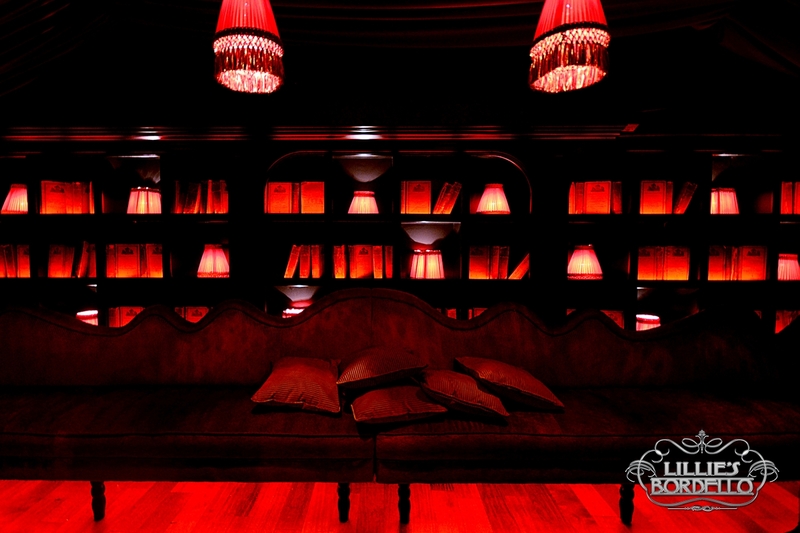 If you would love to plan a special date and a special night out, BANG is the place to do that. Elegance, Beauty, Michelin Chef, and a great smiling team that is super friendly and sophisticated all in one package. Bang is a simple yet elegant restaurant, complete with my favorite combinations of white linen table clothes, teal leather chairs and dark wood adorning the 3 floors; however, today, Carmel let me know, "Yes in one week the entire first floor and downstairs is being redecorated, new booths, new chairs, new colors." NO!" Say it isn't so, Joe. I LOVE THAT restaurant! "It will be amazing, I am sure. Joe has a special eye when it comes to colors and the way he wants his restaurant presented." she says. "What I love most is that the guests come here to relax and be happy. 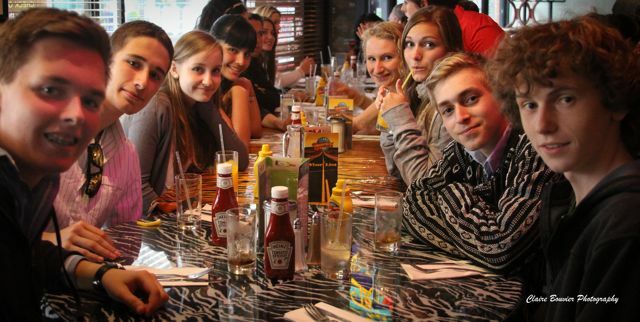 Everybody smiles in our restaurant, and Joe makes sure they have a great time. My boyfriend and I went to a restaurant out to dinner the other night and he looked in and said, I don't want to go eat there. Everybody is moping about." It is true. When people are having a good time they laugh. Most restaurants specialize in Fish, or Meat or some exotic cooking, yet at BANG, Niles specializes in these amazing creations with his own wild herbs. He finds new ways to use the wild herbs and you are the lucky person to try his new dishes. Incredible! the man wants a whiskey or the woman wants a whiskey and the man wants a gin, we can do that. We have Porterhouse beers on tap in the Dingle Whiskey Bar, too. Of course it is the small snug that is common for whiskey bars and some people love that sophisticated specialized feeling of a whiskey bar and that is why, since the acquiring of the Dingle's Distillery 7 years now, we opened the Snug." "We have 25 kinds of whiskeys and of course many ways to drink these, on the rocks and straight up, and you could probably do many combinations if you really had long days to do that!" says the bartender! Oliver Hughs, one of the founders of the Dingle Whiskey Bar. Above the famous Dingle Whiskey. They have 160 whiskeys the company provides for the Snug every month...whiskey tastes 24.00 to taste 5 whiskeys and that's every Tuesday of 2018. Bar Italia in Dublin, a real authentic taste of Italy. Located opposite the bridge from Quays and Temple Bar and on the lower Quays, the Italian bistro sits right at the water's edge, hidden and in plain sight with a elegant and quiet interior and friendly yet very professional service. The director, named Davide, "You know I have been here a couple of years and the Capo, the Boss bought it 100% privately a couple of months ago. Since that time it has been much more comfortable as a team to work here since our Boss is always here and always nice to us. The head chef is named Davide and my boss is named David and sometimes if we are all here and someone calls for David we all scamble at once to answer!" he says laughing. When I meet his boss, David, who is originally from Rome, Italy and is as nice as can be, professional, yet nice, I am charmed. He offers to let me taste Bruschetta, which is the best, and the Pizza Margherita, which is made the old-fashioned Naples way. "48 hours of dough rising and of course Sour Dough and that way it is very light," says David. The Bruschetta is made with the sourdough bread, too, and is very light, crispy and delicious. The tomatoes fresh and the olive oil and basil the best. Loved it. David is the very Italian Capo of the lovely and very unpretentious authentic Italian restaurant right at the foot of the half penny bridge. The team is great, ranging from Rome, where the Capo is from to Sicilian, Puglia, Sardenia, Tuscany, at least that is the regions they have jokingly said, and since it is difficult to tell the difference from the lovely spirit of laughter and reality, I am taking their word on it. The food is amazing as can be seen on the photos, yet mosey on down to experience the real Italian culture of Italy right here in Dublin for yourself! As to me I am a pizza lover! Love it especially real pizza such as the people from Naples only know how to make! "The recipes, although Italian, use the freshest ingredients that Ireland has to offer, including the Wild Seafood of Ireland that is world famous and the Beef, which even the Italians import from!" says the very informative Capo, David. "The pizza dough is 100% homemade and takes 48 hours to be ready. The guests love it and we are very proud to serve it." says David. My favorite Italian dessert is Cannoli, a Sicilian only specialty and yes you can have that here! David's chef, Allessandro, made some fresh Cannoli that is 1/2 and 1/2. One side the pistachio and the other side, "Chocolate made with 70% dark chocolate, which is very important. The dark chocolate is very healthy and natural, yet the milk chocolate that you say buy in the supermarket is not. It is very important to choose the right chocolate. It is authentic Italian cuisine and I am most proud when the locals and the tourists come here and say that they had a lovely dinner. That is why I do what I do. Because of the guests. I want the guests to feel at home here. We have families that come here and mostly it is a casual place. Yes, it is a beautiful restaurant where if you want a romantic elegant dinner you are welcome. Yet everybody is welcome here," says David. "We have, in my opinion, the best beef in the world with the Irish beef. I try to combine the best Irish products with the recipes of Italy and my cooks are very good with what they do. They each come from different regions of Italy and my head pizza maker is from Puglia, which is near Naples. I believe that the Irish beef is the tastiest since the weather here is productive in terms of rain brings green grass. The cows eat the green grass and they taste better. It is just a fact. You know there is a pig in Spain that only eats acorns and it is the most expensive pig in the world, and although I haven't had it the cow Wagyu from Japan is a cow that the Japanese massage and feed beer too and one steak in a restaurant is about 300.00 euros. They say that they don't know if the massaging helps, yet it probably doesn't hurt the cow!" laughs David. He is a very funny lunch companion! ...one day, in 2002, Barry, the owner, is walking along Bond Street in London, saw a painting by the artist Samuel Peploes and fell in love with it. That is where the inspiration came to do Peploes. "The famous item about Peploes is that it has been here since almost 2002 and it is always been of the highest quality. In February we hired a new chef named, Graeme, who has just skyrocketed the restaurant in terms of the most sophisticated use of Irish ingredients and local products incorporating the best recipes from Italy, Spain, and France. It is amazing the way he presents the food and he is always on the phone talking to people about where to find the freshest and most rare fish and the best meat and which products are available immediately. Everyday he is on the phone." says Frederic who is the very suave and sophisticated Director of Peploes. "The people that produce the wine I have met personally. Everyone of these wine producers and each one is a producer that has from 250,000 bottles per year or less. I love the highest quality and every bottle is from Italy, Spain, or France. All imported and the guests have come to respect that about Peploes. My team is trained to know every detail about each bottle of wine and every year we have about 54,000 bottles of wine that the guests drink. Every year. That is important to. It is the details of Peploes and the ability of myself and my team to think outside the box. That is one of the reasons that we hired Graeme to be the head chef. 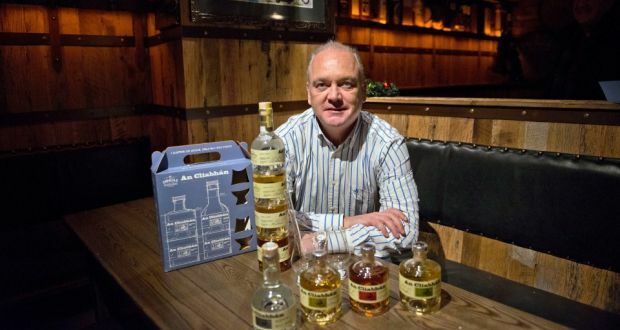 His ability to take the traditional highest quality of Irish products and to think outside the box in terms of his usage and presentation of each." says Frederic. he introduces me to Graeme, the head chef who made my very Irish Fish Pie, which is light and scrumptious and delectable, Graeme says, "I don't want to make Peploes Michelin, although I have worked at a couple of Michelins in the city. A Michelin is very formal and precise and here at Peploes while the decor and service is professional and sophisticated, it is playful and fun." "Yes, it is about hard work when you are making a restaurant a success and keeping up the standards and respect of the team and about thinking outside of the box that makes it valuable to the guests." says Frederic and I ask if "thinking outside the box is his favorite saying since he says it all the time. "Yes!" he laughs. and try to book a couple of days prior, although they try to always find room to everybody. "The wall of fame, as I call it, is full of famous people including my favorite, Mr. Bill Clinton, pictured above, and Hillary is not in the picture, yet we have Woody Allen and Alfred Hitchcock on the Famous mural along with the owner and his daugthers and wife." says Frederic who shows me around the world famous restaurant of Peploes at lunch time. "You are late!" he exclaims as I walk in the door and I explain to him that I had met the prestigious and respected Mr. Monaghan at the world famous Cashmere sweater place named MONAGHANS on the way and he gave me a great pair of lovely cashmere socks. "Okay you're forgiven, inside Peploes to the bar where Filipo is waiting." he says and I walk in and the bartender Filipo entertains me with his dry sense of humor. "You are not from Ireland, I can tell." and he laughs and says that he is from Slovakia and on his way on vacation to Slovenia, where my first lady, Melania Trump is from. Asking Frederic if he would entertain the infamous Mr. and Mrs. Trump, my Presidential family if they came? "Yes of course we would. It is a honor to do that. You know we already have Mr. Clinton who says that Peploes is his favorite restaurant in Dublin and now we can have the Trumps." And Filipo quips, "Yes and Matt the Thresher only has the first lady, Mrs. Obama, visit. We have the Presidents!" "We have people that come in here from Ireland on a regular basis every month or more, and we have tourists that visit, especially Americans and English tourists and Australians all the time. The celebrities come and the famous politicians and I believe they come because of the rare wine list, the most professional and fun service and the atmosphere of Peploes, which incorporates the history of the many famous people that walked in the doors and had a great time, and of course, with the addition of the newest chef, to try the best Irish products that chefs use around the world in a new way. And of course they want to see me and Filipo who are gorgeous to look at too!" jokes Frederic. Peploes, inspired from the famous French artist, and much worth the visit. The one and only biking place in the city where you can do the bike for 24hrs. How cool is that?! 33 Bachelor's Walk, Dublin! "The funniest thing," says Pawel on a Sunday as he and the Wild Rover girl, Ingrid, are sitting at the counter, "is the 80 year old man who comes in and shows us pictures with him on his bike and shaking the hand of the Pope. He was so proud of that." they laugh when they tell the story. "Tourists are great. They're happy to see the city and they're happy to have a chance to take the bike for the 24hrs. You must keep the bike inside if you have it 24hrs. You can't leave the bike on the street. That is the only stipulation." he says. However, you can ride the bike around Dublin and the countryside forever, if you wish. Come to the tourist office that hosts the Wild Rover tours and meet with Kevin, who is Pawel's manager, and have a great bike! "The BikeHire opened 3 years now in June. Today people already are out riding the bikes and we only have 30 of em. We need more and especially electric bikes we only have 2. We have 4 luxury mountain bikes and the rest of em are bike city bikes." says Jawel, the funny young owner of the cool BikeHire in Dublin. And guess where they have the bikes? At my favorite tour company, WILD ROVER OFFICE! 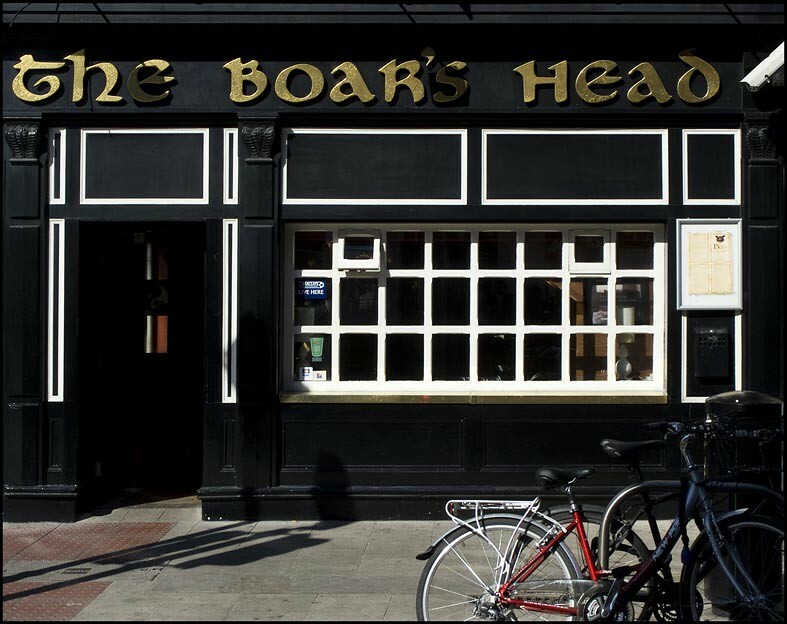 Located at 33 Bachelor's Walk, Dublin! Below is why Jawel says they take deposits! "The coast of Dun Laoghaire and the marina is only about 20 kilometers from Dublin. One fellow took a bike for 20 days and I gave him a wonderful bargain of only 200.00euros. He spent his entire vacation touring Ireland on the bike. I told him though he must keep the bike indoors at night. That is the rule. I take care of my bikes." Jawel says. "Dublin is a friendly city on a bike. Much more accessible than a bus. In the next 10 years Dublin is going to be the new Amsterdam of bikes. Every Dubliner rides bikes to the city honestly." he says. And the reason it is only 15Euros per day? "A lot of my tourists are backpackers and I try to give these people a wonderful day without spending all of their money!" he says. 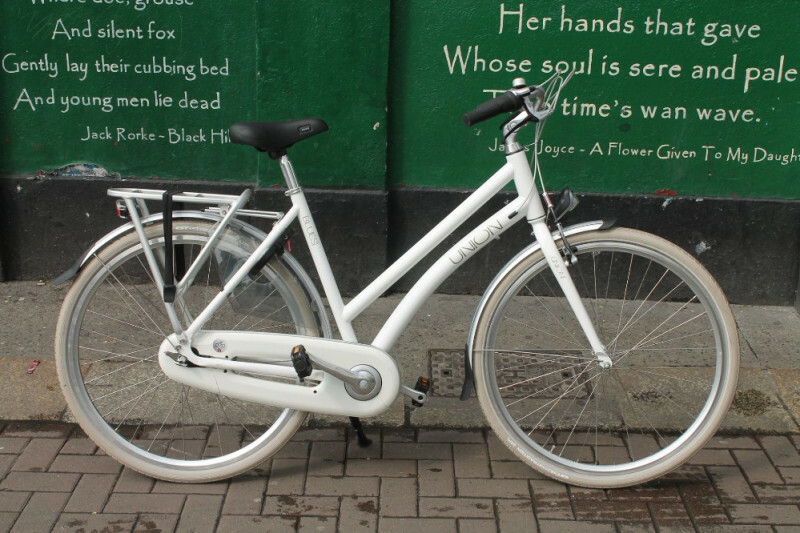 "It's going to happen,"says the enthusiasic owner of HireBike about more bikes in the near future along with cultural tours to which he is strongly supportive of in the city of Dublin. "And the coastline of Ireland is beautiful. The coast of Howth is only 12 kilometers ride to the beach and the Irish sea to which tons of resort hotels can be found and if the people want to take the bike 24hrs. they can stay at the coast all night. It is a lovely way to see Dublin and the region." he says. When I went into the office of the Bike Hire Dublin today, I met with Kevin, who is a young and fun guy who was dealing with about 10 people all wanting to rent bikes 24 hours. I said that I needed to take a couple of photos and he allowed me to do that. The people from America were all jostling their bikes to hurry up and see the city of Dublin, I guess because you can drink while riding a bike, at least they were, so I guess you can. Either way, Dublin is a great city to enjoy the biking all day long and they were determined to do that. 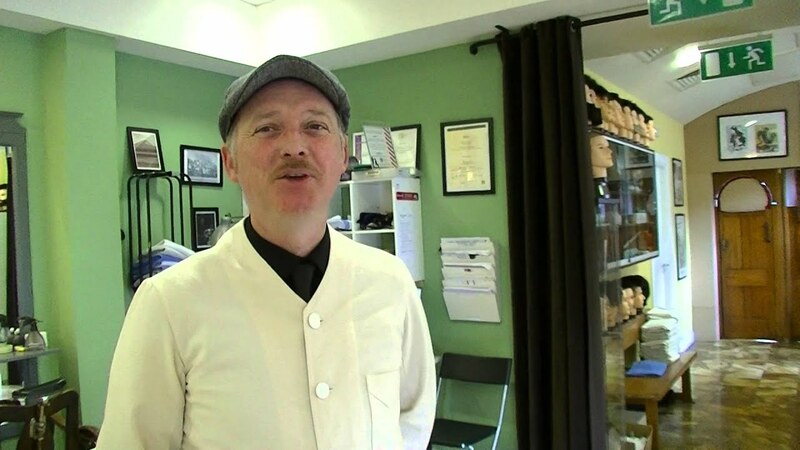 "You can catch Pawel at the Antique store that he owns which is located on 37 to 38 Capel Street and he has owned the store at least 8 years." says Kevin at the bike tourist office, and I walk down the lane to find Pawel. "Hi, you found me," he says and I sit and chat amongst the many different eras of antiques and collectibles. "I travel to Brussels and to Copenhagen and around Europe to find the items and a person that works for me brings these back in the van. I find great treasures and I truly love the antique business." he says as we laugh at the people coming into the store gasping at the gorgeous items amongst the funny little car collections, he has! "Vintage Antiques Dublin is very popular amongst the locals and tourists do come in to buy fun collectibles and now they seem to want to ship important items from Ireland which is alright from me, of course!" he jokes. A couple from Los Angelos come in and ask about a brass and crystal chandelier that is gorgeous and Pawel says that it is his favorite, yet their is more downstairs and in the front and they go hurrying to run downstairs to find them. Close Note"You can catch Pawel at the antique store that he owns on Capal street," says Kevin as he is attending to his guests and I trounce on down the lane to chat with Pawel. His antique store is very cool, complete with tons of social media and while we chatted about the antiques that, "I go to Europe and Copenhagen and Brussels and I find the antiques and I fly back and my fellow takes a van and drives these antiques back. It is a great chance to find some real great pieces and I have had the store at least 7 years now." he says. A couple come in from Los Angelos and admire a great $2,500.00 euro chandelier of crystal and brass and Pawel says, "Yes that one is my favorite and we have more downstairs and to the front." and they go running downstairs to find them. I loved the gorgeous beautiful settee below...wow. "People love the tour since it is interactive and they can take pictures and post these, they can answer fun quizess, they can learn how to and pour a pint of Guinness and they can receive a certificate. 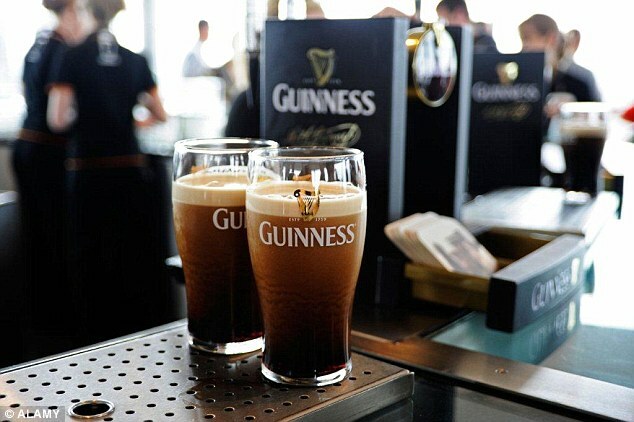 Plus it is a great way for them to taste the Guinness." she says. "When people go into a pub around the World and say give me a pint of the black stuff, they're referring to Guinness which is actually ruby red in color, not black as previously thought. However I don't think it would be quite as nice to go into a pub and say give me a pint of the ruby red stuff." says Michelle, talking about the world famous color associated with Guinness. "It sounds complicated if you don't get it right the first time, however, you just need to do it. When you're there you understand, you just have to be there to do it yourself," she says on how to pour that perfect pint! Sometimes it is nice to be a journalist, as when the Guinness accepts a invitation from me to visit the factory and write about the experience, which to let you know is a 100% lovely and fun and totally worth it experience, see the pictures. I already have two new Japanese facebook friends, a hillarious drinking table in a new room where they let you sample 3 of 12 different Guinness beers and entertainment...here let me show you! I had a personal tour guide named Michelle who is totally charming as she shows me around the world of Guinness. @ the world of Cooper?! What is a Cooper? I ask. "Coopers were the people that physically made the Barrels that the Guinness is stored in. At one time the factory employeed 300 Coopers who were resident barrell makers and that is all that they did is make the barrells. They employed one person who all that Cooper did is sniff the barrells all day long. The entire job! When the Coopers were bored or had to do other things they would utilize the wood from the barrells and make chairs and lamps and ashtrays to decorate the warehouse. The Factory and the Guinness family is known for the great work they did for society and for the better treatment of its employees." says Michelle. Here is the amazing structure at Guinness...a remarkable marvel of 7 floors including ,"a panoramic view of the city on the top floor Pub. The steel is used from the person who built London Bridge named Arrol and it is 38 meters high and 44 meters high including the 7th floor." says Michelle. "It is 3,600 tons of steel and is the worlds largest pint shaped glass. " And the truth about the 9,000 year old lease that Arthur Guinness signed? "That is true for 1 pound, however the lease doesn't exist any longer since they now own the building and the land. It is a cool story though." she says. out in the great outdoors is simply lovely...it helps if you are a good golfer, since it is rather hilly, yet at the lovely McGuirks Golf, they can help fit you with all types of golfing equipment for a enjoyable outing. McGuirks Golf has been selling golf equipment to the irish market for over 40 years. They have 10 stores in Ireland and we certainly hope you are motivated enough on your vacation to get out their and golf. 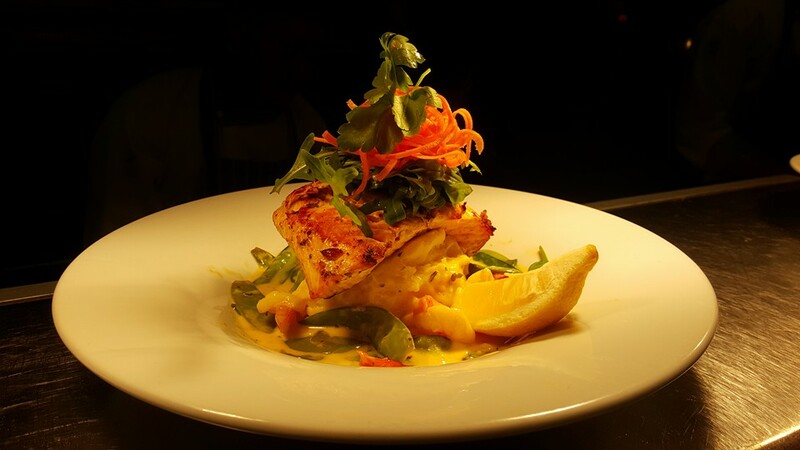 "We have great seafood and great steaks at the Old Mill House and of course the traditional Irish fare. However, the Old Mill House is intimate with only 60 seats and that is why we can give such personal and wonderful service to the guests. And the food is of the HIGHEST QUALITY. Including the presentation which is of such high standards that if each dish isn't perfectly arranged the chef sends it back to the kitchen!" says Eimear. And Gerry? "He is both the chef and the owner. He has Quays since 8 years and the Mill since about 5 years now. We love both. And of course we have the best wings ever." she says. 14 Temple Bar Square, Dublin. Eimear, the manager, is a lovely girl that is the person I meet at both of the cool places in Temple Bar's Square section of the city, named Old Mill House and the Quay's restaurant; above the famous Pub with that same name in the Temple Bar region of fun, fast and crazy Dublin. The hub of nightlife. "I hate tour guides telling people not to come to Temple Bar. They complain that it is touristy! That is the reason tourists come to Dublin!" she says laughing. "We have home-made food with all Irish dishes and of the highest quality at both of the restaurants and sometimes I personally stand outside the door and ask people gently if they would love to see the menu. It is that wonderful here. And if my staff is nice to the guests, they're never yelled at. The chef and owner, Gerry is a perfectionist and he would make Chef Ramsey cry!" she says. 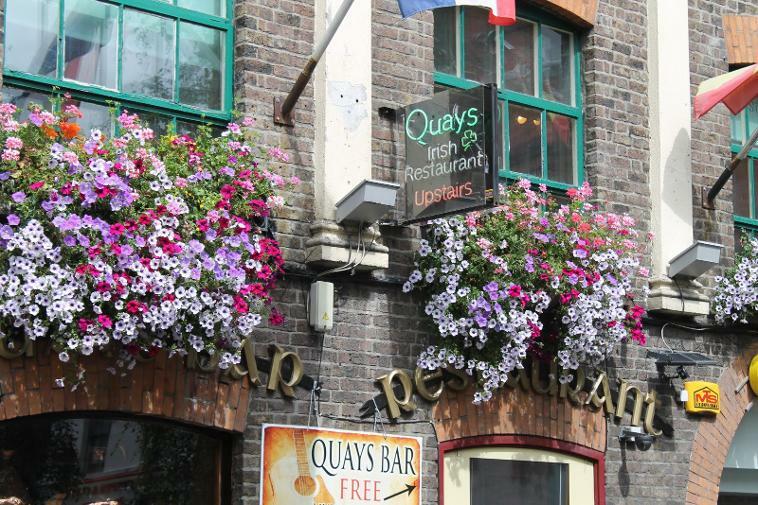 The Quays Restaurant, Temple Bar Square. 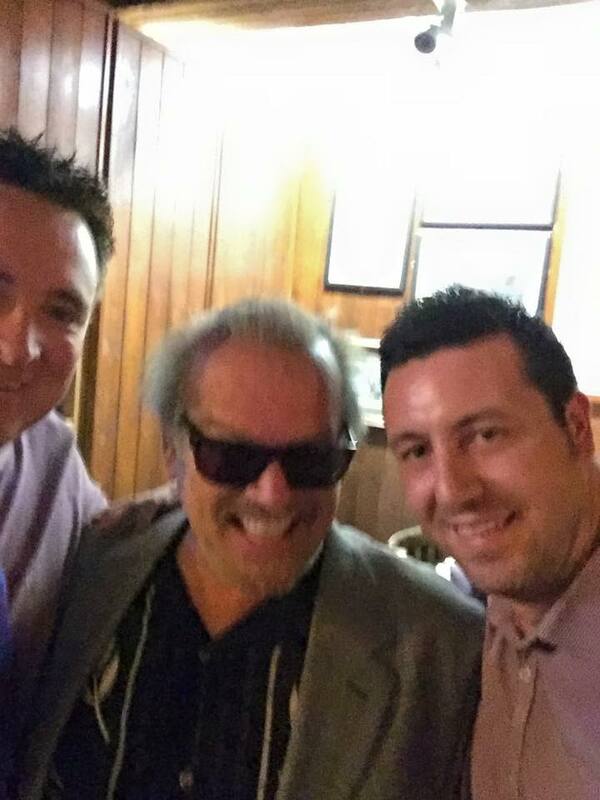 "Along with good old-fashioned Irish food you could meet Jack Nicholson here at Quays," says Eimear, "he came in and ate a couple of days since." she says. 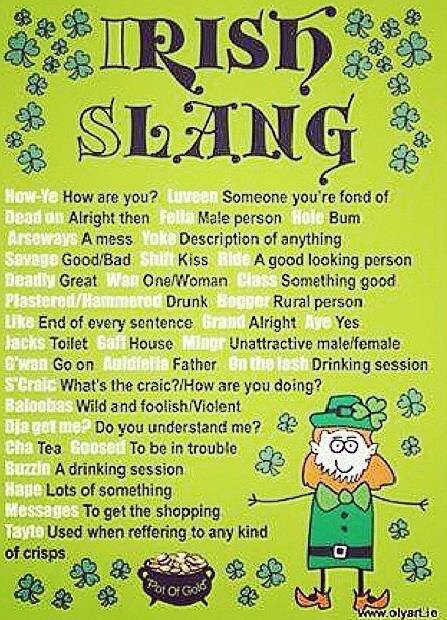 And the Irish slang? "Yes it only sounds right when a Irish person says it, though." she says. Located at 10 to 12 Temple Bar Square, you can call for reservations at 035301 679 192 3, "The place holds 160 people and we have a menu in 5 languages and 47 different nationalities working here. We always love the guests when they come in and expect you to be a photographer, a tourist guide, a beer connoisseur and explain the Irish food. They take out their maps and make you guide them around the city! It is funny. Now in addition to the staff being highly trained with 2 weeks courier service of carrying plates from the made to order kitchen, they have to be tour guides too!" 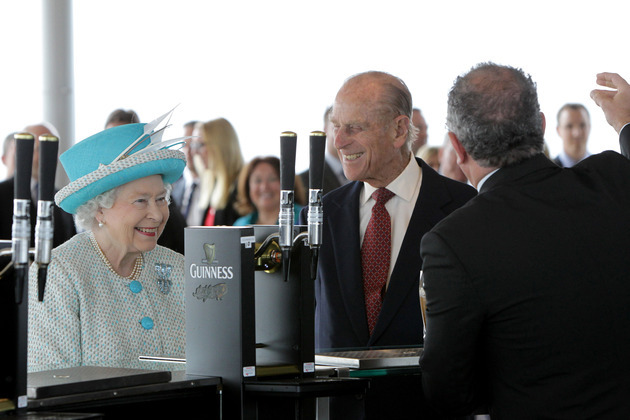 "O and make sure you mention the Craft Beers which we are famous for too." says Eimear. Below real people enjoying real food at the totally authentic and fun Irish restaurant named Quays in Dublin's trendy Temple Bar. "We have the best breakfasts in Dublin. Why? The food is made when you ask for it. Not before!" says the lovely manager of both restaurants, Eimear, who has been with the company almost 5 years now. 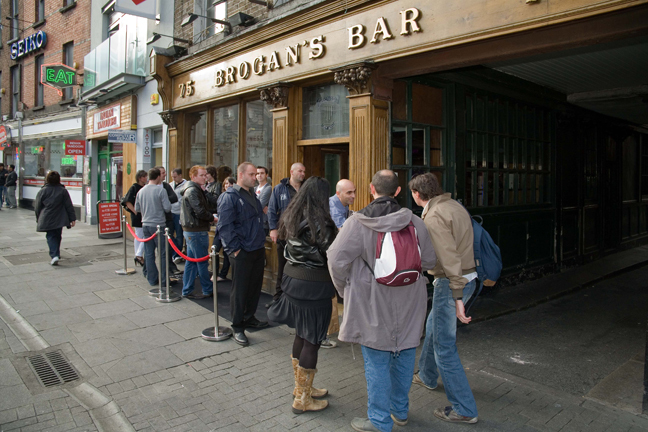 Brogan's Bar is to outside sources a local bar of where you would expect the real authentic Irish people to hang out...but looks are different s is the owner, Ben Brogan. On the walls are the coolest original prints of almost all of the older Guinness Advertising campaigns full of delight and color and wit and artistic marvel. He bought the prints framed and unframed, and most of his guests, "come depending on the show..." when I assume that he means the sports show on that night he corrects me surprisingly. "No no not the sports, the show is the theater next door. They have all kinds of different shows and the audience and the actors sometimes come here before and after. The techies for the show come all the time." That is the kind of Pub that you will find here. Full of tourists and theater and creativity and yes locals that, "get off of work and the bus happens to drop or pick them up here. If they find a different bus they go to a different pub" the funny owner says. As I open up my backpack I take out a book on the local Irish Government that I found in the bookcases on the wall..."It is such a different feel to the Pub," I say and the owner laughs. "Yes people think it is just a Pub, yet honestly we have a lot of culture in here. We have the big bookcase with books that you can take and read while you drink a Pint, take one home, bring new ones back, and I've read every book in the bookcase." he says. For such a big guy he looks more like a sporting person than a theater and book guy! Yet one of his passions is collecting the Guiness Famous Advertising Posters on the wall. The pub is a pub, yet it is a little bit different too. Loved it. Since the restaurant has a unrivaled reputation for its Dublin food I am very proud and lucky to have it included here on the site. Love the owner who is especially proud of his heritage and his sports! "We're of the traditional Gaelic Sports Football which is played at the famous stadium here all volunteering as it is. Here is 32 teams that play in the Ireland league and the league and stadium is from a long tradition of promoting and keeping the Irish tradition, culture and heritage prominent." says Martin. "My father passed away about 1 and 1/2 years ago." says the owner(as has mine). "He worked at the age of 15 on the big cruise ships as a chef, on the Queen Mary and the Queen Elizabeth about 10 years and came back to Cork and opened restaurants based on this experience. 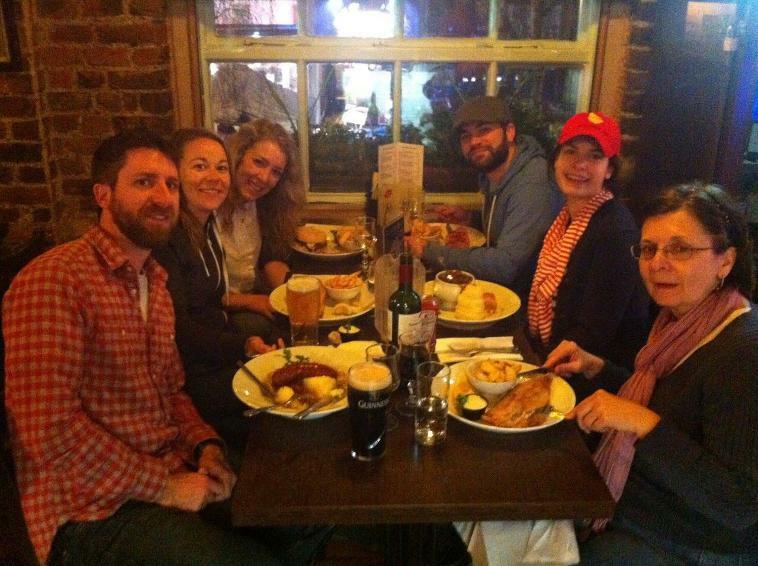 The restaurant here has been here almost 24 years and I am happy to give my guests traditional Irish food such as Irish stew and Whiskey Sausages which I recommend to my better friends!" he says laughing when I ask. "Yet funny enough we have fajitas such as Mexican food since the tourists that come to Dublin want all different kinds of food. Every restaurant here serves international food and beer. We don't just serve Guiness anymore since it competes with other beer companies. Me for instance I like a good Budweiser!" he says. "The most fun for me is rather odd. I like the stress in a good way such as trying new items to the menu and seeing if the guests appreciate it. I like meeting the people everyday and owning a restaurant here motivates me to get out of bed everyday." he says. Which I must say I can empathize with. Above guests at the formal wonderful Irish restaurant and below Martin and his father outside the O'Sheas. That is the family name right? I ask? "Of course, we're Irish!" he says. "Michael Ryan Mick, it's Mickey and that is my wife Ann we own Ryan's Air...just kidding!" says the jokesters that own the coolest Pub in Dublin...yes that is right it took me 3 years to grant the interview and chat with the young couple who've owned the Pub the last 25 years. Ha'Penny Bridge! http://hapennybridgeinn.com/ Right at the foot of the famous Bridge. TELEPHONE: 01 677 2515 ADDRESS: hapennybridgeinn@live.com As I walk into the bar, is the way every Irish joke starts, and when you come to Dublin you understand the underlying meaning of it...because the minute you walk into a bar the jokes start. And they never stop. It is the same this morning. I entered about 10:25am and Anne and her husband Mick sat at their own bar eating cereal. Why Ha'Penny? I ask. And he takes his old Irish money of schillings and half pennys from his pocket to show me the old Irish money.When a daily guest comes in he quips,"just showing the journalist me money I have...counting me money..." and I say that is my monthly salary of 3pence. "You know it is a live music Pub, a comedy Pub,-" Mick starts to tell me and Anne interrupts and says, "besides Michael talking to all the customers-he is the real comedian and he doesn't care if you're a movie star or a daily customer he jokes with everybody." Mick resumes telling me that his Pub is" a musical Pub Crawl Pub everynight at 19:30pm they bring the guests in with their own Irish music and you can walk upstairs and hear the music. And in addition we have Blues on Saturday night. All the music and comedy is upstairs." he says. He invites me tonight to follow the musical Pub Crawl, which sounds kind of cool since you can hear Irish music everyday. At about 11:00am the Pub starts to get crowded with tourists and I try to follow Mick around and ask him more questions. Although it is difficult since he only jokes about life. Below is the famous Ha'penny Bridge. In the end, it is a Pub. A cool classic Irish Pub. Upscale with the best upstairs of live music around. The owner's unbelievably young, sweet, in love and friendly. Loved these people. Could spend the entire day here learning about Ireland. O! and does everybody know that Ryan's Air received its famous colors from the county the owners come from? Tipperary. The Hurling colors of that section is Blue and gold and that is why Ryan's Air is Blue and gold. Trust me you learn a lot talking to Irish Pub owners and bartenders! In addition is the Wellington Bridge which earned the name of the Half Penny Bridge in 1816 when they put the first bridge to join the two sides of the tiny river. "Back then a Irish man earned 3 schillings a week. It cost half penny to cross the bridge. It was a wealthy man's bridge and they would get all dandered up and stroll across the bridge. They also had little boats called Ferrys and they would go from one side to the other. Today the equivalent of what you earn in one week(for me it hasn't changed from 1816 Ireland) would cost about 100.00euros to walk across the bridge! "When we bought the Pub Anne came up with the name. You either had to take the name down Jim Mourns was on it, or make up a new name. Anne thought of the name because of the famous bridge. We found cool newspapers upstairs that come from the late 1880s. Let's take a look at it." says Mick and runs the newspapers down for us to see. In these is an advertisement for the Brays Head Hotel, the Luxury Hotel at Bray for 2pounds per week including room and board! I am hopping on a bus to Bray Today! "The Irish changed its money in 1971 to 2001 to Irish pounds and in 2002 to the Euros. All the Irish money has animals on it...hence the big pig outside as our symbol since the ha'penny has a pig on it. When the Irish people had to change the money they went to the bank and where given euros back. The paychecks in the coming weeks were given in Euros. That is the way they introduced the euro system." tells Mick. I ask if 911 made the world change its currency? And he laughs. "No the Euros had nothing to do with 911! it was europe." he explains. In addition my favorite Irish beer is the new one named CUTE HOOR red ale which is the tastiest ever...a big competitor to Guinness. Cultured, Educated, Poetic, Opulent, Luxurious, Rich, Wealthy, Bohemian, Charming these are all ways to describe La Cave... the first wine bar located if you can find the hidden quiet gem under neath the city...I can give you a hint it is across from Kehoes...while waiting one night to interview the owner, I moseyed to the intimate unpretentious wine bar . I am glad that I was curious. Marguerite is beautiful and when she tells me that almost 40 years she has known her husband Akim I am trying to find where that could be possible if at all. "We used to have poetry readings in here..." HERE is a rich ruby velvet type of grapes hanging from the ceiling O hi DAAARling atmosphere of intimacy at the posh tiny cosy bar to the funny lively tables scattered in the parlor as I call it. I can only imagine laughing as in Gigi at a fancy dinner as Eva Gabor did while tasting the bordeux and lamb waving my fork at some uproariously funny joke that Gaston or some other worthy people had just told...I meet Akim who Marguerite introduces as her lovely Algerian husband who cooks every night just for her..."I have never cooked ever and he cooks especially for me..." And her favorite? "A dish of lamb and artichokes and peas...I don't know how he does it"...Akim is muslim and when the subject centers on that religion and the Emirates and Qatar and they ask if the Muslims drink alcohol I say that they would all love the wine bar with its intimacy and fun and opulence and would all probably come in to lunch and bring security to stand guard at the gate while they ate , laughed, and drank wine! "My husband came up with the idea about 28 years ago and here it is today. He came up with the decor and the idea of a wine bar in Ireland when there wasn't any wine popular...it is all about the beer in Ireland in those days. We still have the original decor from 28 years you know on a shoestring budget and we kept it all...in the early days he had these fancy glasses the most fancy especially here when everybody is used to going to the pub for a beer and here it became popular for a lady to come have a glass of wine in the hidden section where she could drink with elegance. The people weren't used to the very fancy glasses and they got broke but we still have the decor!" We spoke of poetry and writers and how they would definitely be inspired at the aura of the beauty of the cave and we talk of love.... because as I say when I say that I love that wine bar isn't love what it is all about? "Ya my name is Clinton Kennedy and I am the owner of the pub. Come here on Friday nights and it is a party scene in here. We have live bands..." famous last words...to which I reply to Clinton and his Corkie bartender the "only Corkie allowed to work with me...the rest have to be Dubliners...mostly cause I can't understand a word they say"...ha ha ha and to which I tell him that his name is American Presidents to which he replys, "Yes I know..." to which I say that actually he has the only name where both Presidents got their heads blown off... to which the only one that would , be Clinton by the way, that appreciated my joke is Clinton! "I've been here 20 years now and I don't know if I'll ever retire..." when I ask him if Hugh is near retirement...after all around the world and 20 years as a publican is a lot of years:) "O yes it is fun and itis busy but I would like it to be a little more busy..." he says... it is a cool quiet morning the mornings I always love best and he says "come in here on a Thursday night that is o yea that is when you can see the characters Thursday night would you say Joe about 8 oclock?" Joe nods his head, "Tons of Characters Thursday night..." okay. lets do it on Thursday night! Guy is the owner of the Cigar Emporium a specialty and rare cigar store in Dublin, "It is image and sophistication that we try to exude. I've been here about 17 years and a total of about 20 in the wholesale business but the most fun is the store and helping the people choose their cigars. "People come in here and purchase anywhere from 10Euros to 15,000 E items...they can drop 60,000 Euros at one time. It just depends." But one thing that they're all after is the expertise and advice that we can give to each and every guest." When I ask if the fact that America has a ban on Cuban cigars helps the mystique of the Cuban cigar elsewhere in the world he says definitely. "That is one of the reasons that the Cuban is so popular...o it is not allowed anywhere in America it must be good...but the Cuban cigar is one of the finest and you can definitely tell that from smoking it. The next day when I chat with Guy he says "The cuban would be too strong for you. I shall give you one of the lightest ones we have. You can smoke it outside in Ireland but it is banned everywhere in Ireland to smoke inside. Remember DON'T inhale. Cigars can be bitter if inhaled...alll of the taste buds are at the tip of the tongue and that is what makes a cigar unique." If you would love to learn about the real handmade cigars visit the store chat with Guy, have a espresso while you tour the store with Gary, and of course chat to Barry Joyce about James Joyce and the house of Sweeny that is the Sweeny house in Dublin. And since I just talked about Oscar Wilde and the Importance of Being Ernest here is a great segway... the Dragon Bar in Dublin that has the final competition of Drag Queens tonight wiith the famous winner at Ruth Paul's in America performing tonight. The winner receives the contract to work in the Dragon Pub one year, a 500 Euros thankyou , a crown to crown the drag queen winner and great recognition. THUNDER ROAD Ashley the supervising manager is sweet, "I've been here about 8 years. It is definitely more of a eating type bar as you can see the American style booths and it is themed with motorcycles. There used to be the revolving motorcycle in the middle of the restuarant above the bar and we moved it all. Now people come to eat and at 11pm the kitchen closes and we all do a bar type of style with a DJ then and everybody hangs out and dances and has fun. Right now it is a private pub and the owner has been here a long time. It would be kind of cool to have these in all of the major cities but I wouldn't want to have a reputation such as Hard Rock." She responds when I say that it reminds me of the Hard Rock memorabilia. "And with the economy as it is all around Europe it wouldn't be a good investment now to start opening pubs." Okay but it is a cool pub. Great food fun staff. 52 Fleet St, Dublin 2 (01) 679 4057 Is where the Restuarant is located. It is huge huge huge and the best thing about the multi level Pulp Fiction type of restuarant is the staff. They're fun. "The best thing about the restuarant in General is that everybody talks to everybody. The atmosphere is the best." "GIRLS LIKE THAT" a THEATER DRAMA ON TEMPLE is a play that ... I have officially renamed "
Girls Like That production at the New Book Theatre in Temple is a very young amateurish attempt at showing the ways that Girls think and act from the time they are about 5 years old to 45 years old. Find the production at 7:30pm at the New Theater in Temple. I give Natalie's Blog an A since it is funny and incorporates 20 girls then 19 when they think that Scarlet is dead But she is reincarnated and the rest you must see. You can find the Green Rooster at oops I am sorry it is barbershop instead of a pub...okay here is the pub but underneath the Amnesty International sign on the way is 48 Fleet street Barbershop...and the people are normal young guys that do a lovely hair... As the bartender drops a glass and it shatters all over the floor he says, "See they're throwing glasses at me again...Stop throwing glasses I told you I would be with you in a minute...Jesus always throwing stuff at me." The guys at the end of the bar start laughing and pound the bar to be served. http://oneononecs.com/index.php/gallery/ Ray is owner and his son's name is Ryan. You can find these quiet unassuming guys at 9 Mary street Dublin. He teaches courses in many areas of martial arts and is insistent every time I rephrase or ask him a question that it is all about the way the sport makes the person feel. All positive reinforcement and healing from within. The Owner of one on one sports in Dublin is a genuine nice guy, "I believe in positive reinforcement. Healing a person from within. It is all mental and physical comes with it. The concept of the store is from years of working in martial arts. Of course the store has the equipment that many of my students come in an purchase but it is ultimately finding the strength within you that I try to reinforce." The store does have the typical boxing equipment and clothing such as Americans call "you call it kickboxing but we call it something different here. The concept in America is just touch the person in kickboxing and that is the game but in Ireland full competition it is full contact. A little different." The Bowes pub has a bunch of local characters in it. It is the Dublin sense of humor of one liners.... as I chat with the bartender as they get ready for the game the financial anaylst to my right says, "Yes it is almost 5 o'clock and I can do my job at maybe about 7 am to 10 am and if I come early I can leave at 5 or later about 8. So I come early. And I can hang out at the pub and have a pint before I go home."